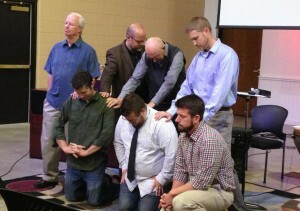 Nick Deck, Aaron Scantlen, and Tim Wright (all kneeling) are prayed for by Jay Bell, Kip Cone, Tom Julien, and Dean Avey at the Winona Lake, Ind., Grace Brethren Church during the church’s Living Room service. 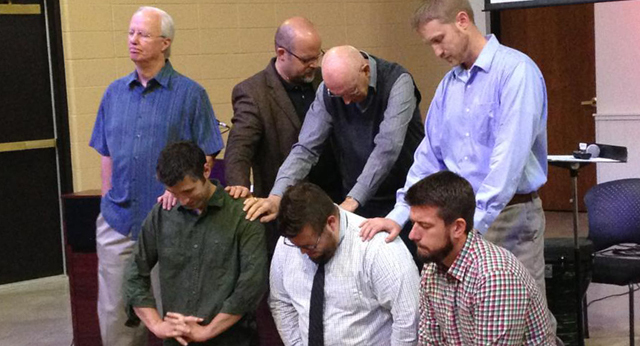 At the Winona Lake, Ind., Grace Brethren Church (Bruce Barlow, lead pastor), three young men were recognized on Sunday as newly-licensed elders. (They recently were examined by the pastors in the Heartland District of Grace Brethren Churches.) Nick is the junior high and college coordinator, Aaron is graphics and communications coordinator (with plans to plant a new church in the area), and Tim is the student ministries pastor. 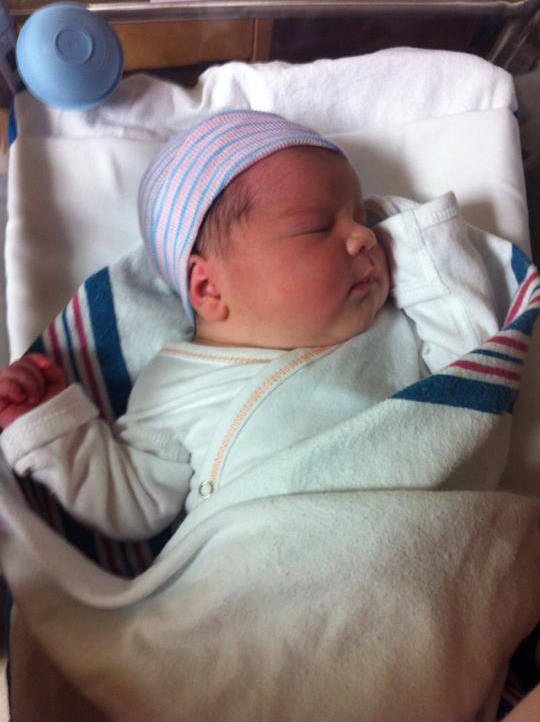 Send a note of congratulations to Nick, Aaron, and Tim. These news items first appeared in this week’s GraceConnect eNews. To get your news first, subscribe to the eNews by clicking on the button in the upper right corner of this page.